”I’m a little bit country. And I’m a little bit rock ‘n roll.” A Donnie & Marie hit, remember them? What is it? They couldn’t make up their minds? Or are they a compatible blend of each? In a similar fashion, The B&B Team offers properties for sale that are a “little bit B&B-little bit something else.” I’ll explain. 9 guest rooms with all the B&B amenities plus efficiency units you might find in an upscale motel or hotel. Guests staying at the Shaker Mill Inn enjoy their breakfast in the privacy of their rooms. The rooms are stocked with breakfast items. Baskets with baked goods, fresh fruit, quiches and tarts. 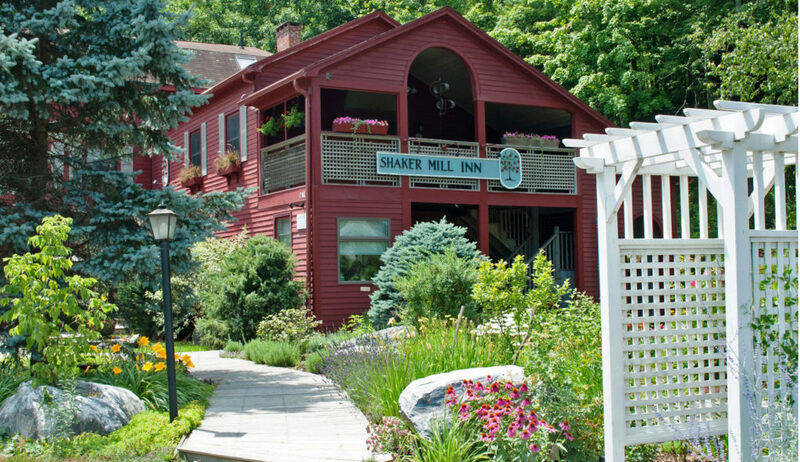 The innkeepers at the Shaker Mill Inn have created an efficient self-check-in and check-out system as well. This business model also allows innkeepers more free time without daily breakfast prep, serving and clean up. Yet the current innkeepers are always available and in communication with their guests. The welcoming personal touch is very evident at the Shaker Mill Inn! Little bit B&B, you bet. Plus a very nice spacious and private owner’s apartment. What makes a motel boutique? 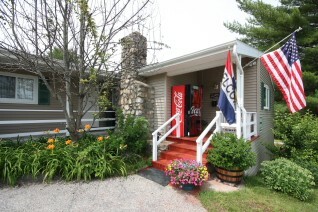 Nine well maintained pristine rooms located in the heart of a Maine destination tourist location. As one guest described it; “Lovely, comfortable and cozy little motor inn with expert and gracious service!” For future innkeepers looking for this kind of lodging there is a 2-bedroom owner’s apartment with 2 baths, private deck, kitchen, living room, dining room, laundry, storage, 2 car garage, plenty of space! Open year round too, but strong summer business. So much new owners can add to lodging properties like the Romah Motor Inn. Go funky nostalgic, add more modern conveniences, let your imagination soar! Go a little bit B&B. Paint your own future here. The Romah Motor Inn is a well-established business, a financially feasible property. Prime and ready to welcome serious buyers. 10 miles off the coast of Maine, unique in that ¾ of the island’s 700 acres is all natural and preserved. Take a ferry (everything comes over by boat), land at the dock, your luggage is picked up and delivered to the Inn. Take a short walk through the small village, pass weathered shake-shingled cottages, artist’s studios and shops, arrive at the Inn and your adventure begins. They say time distorts once you set foot on the island. And this is true at the Monhegan House too. And it is a good thing! There are two suites on the ground floor with ensuite baths. Full breakfast served in the restaurant’s dining room. That’s the little bit B&B. The rest? The remaining rooms on the 2nd, 3rd and 4th floors utilize shared bath/shower/toilet/sink facilities that have been recently renovated and are exceptionally clean and maintained throughout the day for guest’s comfort. You may call this a ‘little bit rustic camp style’. 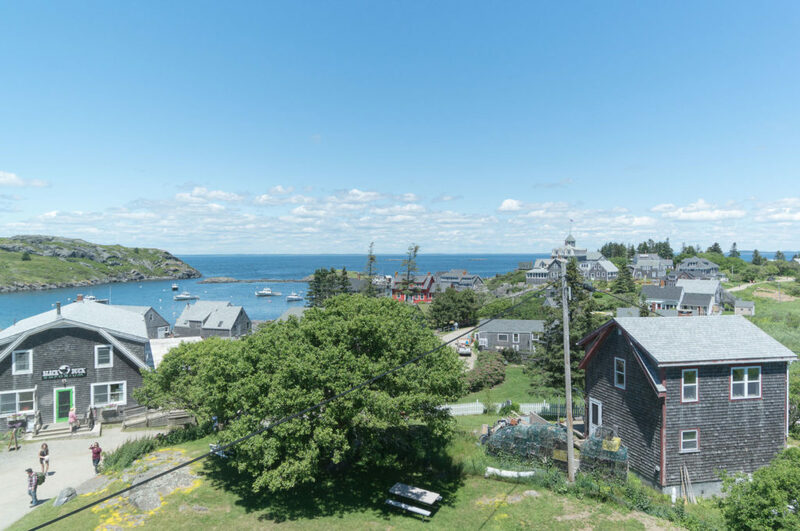 But guests embrace the ‘rustic’ plus the total Monhegan House experience, spotless rooms, great food (breakfast and dinner), great hospitality. And they come back time and again. 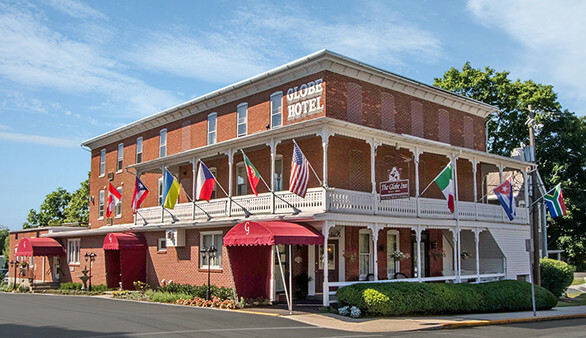 Small town historic hotels that have been restored and brought back to life as bed and breakfasts, it’s a wonderful thing! Pull up to the hotel in your ‘modern’ mode of transportation and you are still greeted with the same exceptional hospitality of yesteryear. The guest rooms have been restored with all the amenities guest are looking for in a fine B&B. Whirlpool tubs, gas fireplaces and some with kitchenettes. One review describes the Globe with the words, ‘clean, charming and warm.’ But wait there is more ‘something else’, a real cool downstairs pub, rooms for dining, weddings, celebration events or meetings. A wonderful gathering location for locals and today’s ‘weary passengers!’ Plus opportunity…the inn has operated a restaurant in the past and new owners have many options for food & beverage service, if desired. You can see now what that ‘little bit of something else’ is and can be. Opportunity knocks, make what you desire of that ‘something else.’ Take on the challenge, let your creative passions take hold and soar. This entry was posted on Tuesday, October 31st, 2017 at 7:29 pm	and is filed under Innkeeping Business, Inns for Sale. You can follow any responses to this entry through the RSS 2.0 feed. Both comments and pings are currently closed.